The Lionwrit Vault contains the actual manuscripts and/or facsimiles and/or shadows of all of the ancient manuscripts of the Bible. 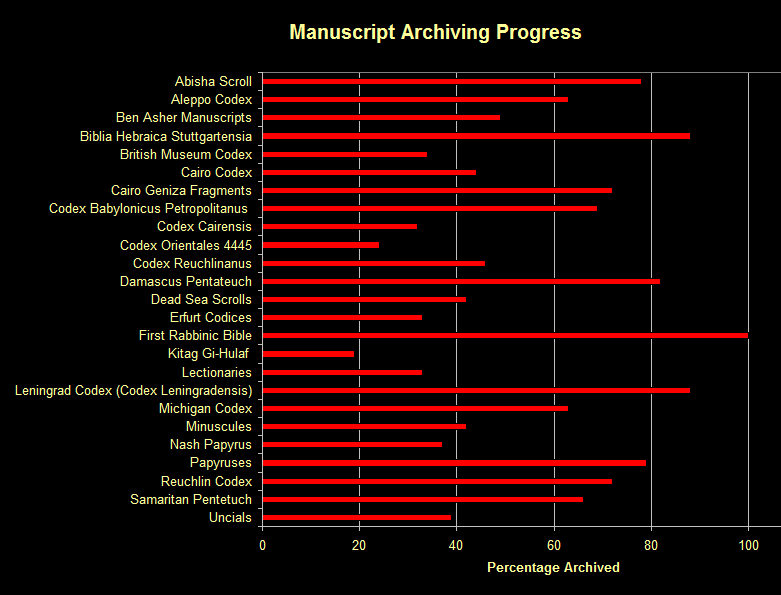 We are currently loading these manuscript artifacts into the vault. You can check our progress below. For more detailed information see Wikiwrit.